Meet MAX.. the worlds first conversational, intelligent quote to cash agent. Visitors to Dreamforce 2016 in San Francisco did just that.. but as a 3D Hologram. 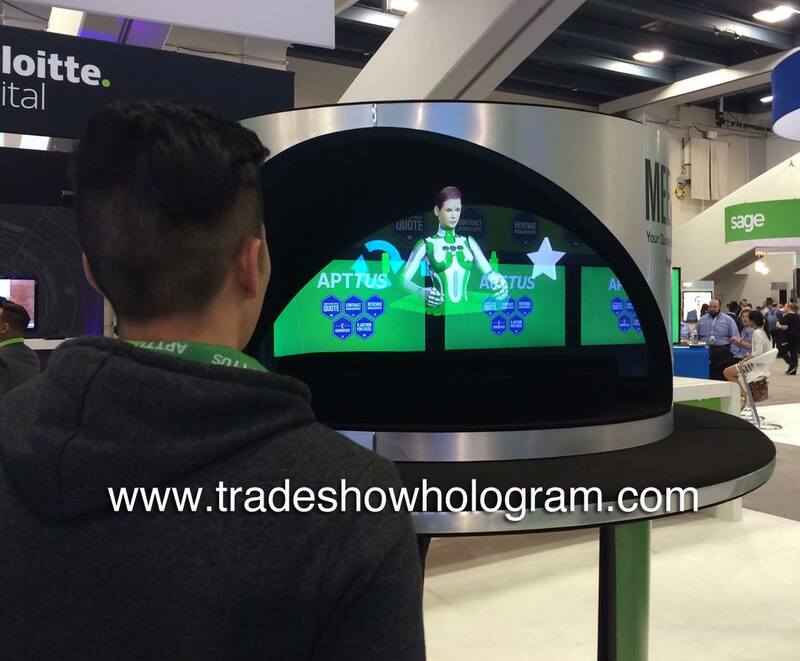 When APTTUS debuted MAX at the software trade show in SF they asked Trade Show Holograms to create a 3D holographic presentation to introduce the program to the attending public.